Deb Conklin: "I'm worried about the commission being impotent and a waste of everybody's time." For the second time in two years, the chairperson of Spokane's police ombudsman commission was asked to resign after becoming embroiled in controversy over the role of the volunteer panel. Deb Conklin has stepped down from her position as chair of the volunteer commission charged with directing police oversight in Spokane. Her predecessor, Rachel Dolezal, was voted out of her leadership position in 2015 after an investigation into a whistleblower complaint found that Dolezal and two other members of the commission created "an intimidating, hostile and offensive environment" and "abused their authority." 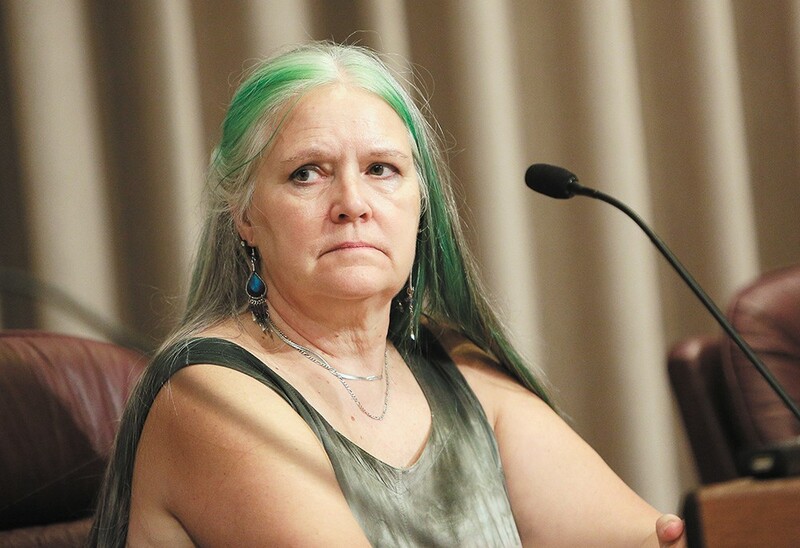 Over the past few months, Conklin has faced similar accusations stemming from what she says is a difference in opinion over the commission's responsibility. In an email to members of the city council, Ombudsman Commissioner Ladd Smith urges them not to reappoint Conklin. "It has become increasingly obvious that Commissioner Conklin is more a liability than an asset on the OPOC," Smith writes. He adds that Conklin's "ongoing disdain" for the ombudsman, Bart Logue, "is hindering the important work of the OPO and the effectiveness of the OPOC." Police Ombudsman Logue has also expressed frustration with Conklin. In emails to city officials, Logue has accused Conklin of creating a "hostile work environment, which I will no longer tolerate." He declined to elaborate, due to potential action from the city's human resources department. Conklin denies that she's been demeaning toward Logue, but acknowledges that her view of the commission's role aligns with Dolezal's — that the commission exists to hold the ombudsman accountable, and not necessarily to support the ombudsman or "rubber-stamp" his actions. Although she raises no issues with Logue's work, Conklin is worried that the commission will devolve into a sounding board for the ombudsman, "and we'll be right back where we started," before February 2013, when voters approved a city charter amendment for an ombudsman with independent investigative power. Others wonder if she's taken that vision too far. Logue and Conklin's relationship got off to a rocky start. "I think it's fair to say there's been observable tension between Bart Logue and Deb Conklin from the beginning of his service," Councilman Breean Beggs says. Before the ombudsman commission voted to offer Logue the permanent job last September, for example, Conklin said publicly that she favored another candidate. Nonetheless, she voted for Logue to "strengthen the office by giving him unanimous support of the commission," she says now. "He and I often don't see eye to eye on things," she says. "And we sort things through, usually, in the public meetings. My understanding was that although we disagree on things, we sorted them out. And I thought that we were good with that until I started hearing these last few months about all this tension between Bart and I. I would not have said that about the relationship." Meanwhile, other commissioners have taken notice of their strained interactions. Logue and Conklin have clashed over proposed changes to the ombudsman's ordinance, and whether to close the office on Fridays if he's worked more than 40 hours, for example. Smith, who was appointed chair of the commission after Conklin stepped down, is mystified by her demeanor toward Logue. "Deb and I have been to a lot of meetings together, and have talked about a lot of things, and that's why this is so hard," he says. "I like her as a person — she stands strong for her convictions — but when it comes to Mr. Logue, I'm in the dark as to what she has a problem with." He agrees that commissioners should question the ombudsman's actions, but says they should balance criticism with affirmation. "I think she's too far on the extreme of always holding the ombudsperson in suspicion," he says. "The hard part about being a commissioner is finding that middle road. The ombudsperson needs to feel a sense that the commission is supporting him in his vision and his work, and I think it's hard for Deb Conklin to compliment Mr. Logue." 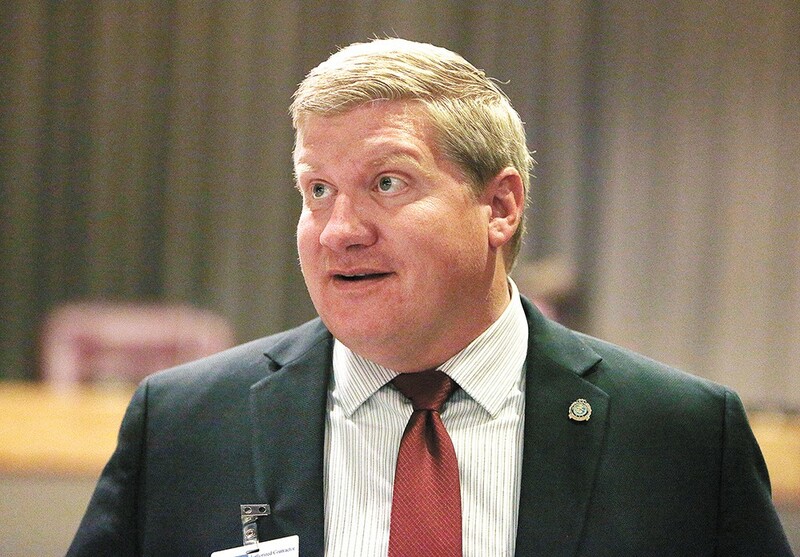 Scott Richter, who recently left the commission after his term ran out, has continually pushed back against Conklin's interpretation of the commission's role. "We shouldn't be going into the ombudsman's office and telling him or the staff what to do," Richter says. "That's not the OPOC's job. We hire a person who's capable of doing the job, and if that person is problematic, that's when the OPOC starts to hover and look into what they're doing." Last month, Richter emailed all seven city council members raising concerns about Conklin directing the ombudsman's daily tasks without consent of the commission, which he believes is outside the scope of the commission's authority. "We enable and strengthen the ombudsman until there is a concern otherwise, which there has never been about Mr. Logue," he writes. Conklin does not shy away from her belief in the commission's role as an aggressive watchdog. But she doesn't point out any shortcomings in Logue's work, and in fact, praises the job he's doing. In one example, he identified an officer's questionable behavior that supervisors missed. "In that sense, he appears to be very conscientious, because he's looking at a part of the body camera footage that wasn't even tagged in the complaint," she says. But she believes his interactions with her haven't always been fair. "I was not aware of the things he was saying, and now that I hear the accusations he's saying, I think they're unfair and unsubstantiated," she says. Regardless, Conklin is stepping away, not only from the ombudsman commission, but from her role in police oversight in general.